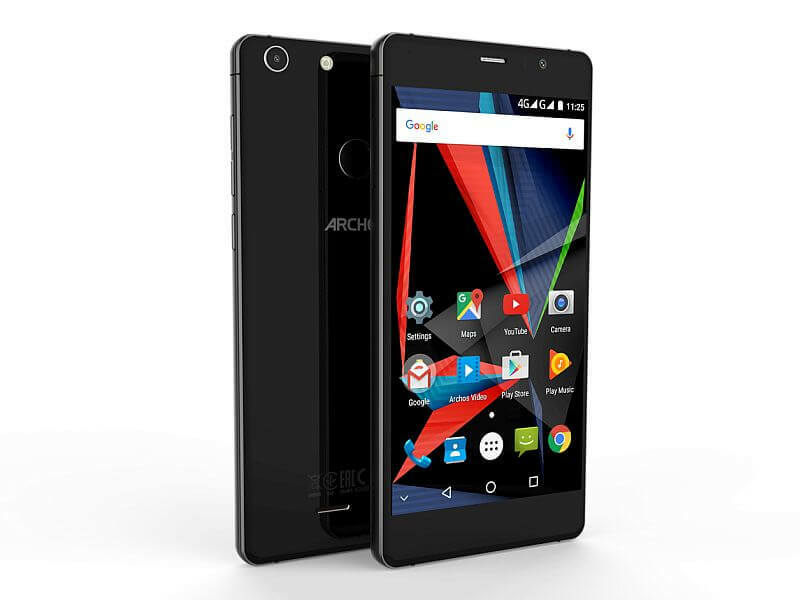 Archos 55 Diamond Selfie: French media player manufacturer, Archos has launched a new smartphone now. The device is all set for the lineup of IFA 2016. The company has many hopes with this smartphone, the company has focused this time on the selfie lovers. It is named as Archos 55 Diamond Selfie. The firm is ready with a set of devices to launch by the hood name “Helium phones”. The phone has got amazing specs in an affordable range of price. It is powered by a 1.4 GHz octa-core processor coupled with Qualcomm Snapdragon 430 (MSM8937 processor). The RAM of the is 4 GB and the internal memory of the device is 64 GB. The internal storage memory can be expanded up to 128 GB using a microSD card. On the back, there is a 16 MP rear camera with LED flash. And on the front, there is a 8 MP camera with a screen flash for selfies and video calls. As the name is explaining, it is a selfie smartphone. Its is said the camera will benefit from Qualcomm tech like OptiZoom (for sharpness), ChromaFlash ( for balanced shots) and UbiFocus (for selective focus). The company is not revealing that on which camera(s) this tech will work. It can be expected that the rear camera will be benefited from these technologies but no one is sure about the front camera. The phone runs on Android operating system Marshmallow v6.0.1. There is a battery backup of 3000 mAh which is quite enough for keeping the light on. The battery will be non-removable with fast charge technology. Proximity sensor, accelerometer, Ambient light sensor and gyroscope are available in it. There is a 3.5 mm audio jack in the smartwatch. The company, Archos will sell the phone unlocked at a price of $222. the Lite variant with 3 GB RAM and 16 GB internal memory is selling the device at about $188. Hope you liked the content. For more information or any related query, leave a comment below. For more updates, Stay tuned and subscribe to our website.